It’s always a good thing when your children help you out around the house, right? So why not let them take part in any home improvements or renovations you have going on or will have going on in the future? So long as you are aware of your kids’ capabilities and know what they can do and can’t do, there’s no reason to think that they can’t help you out. Furthermore, your kids may enjoy being involved with a home improvement or remodeling job, so it can be a learning experience that they actually like. Solar lights are simply lights that automatically turn on when the sun goes down. They are easily acquired at home improvement stores or online and can be a nice upgrade to your front or back yard. That’s also not to mention that they are fairly inexpensive and good for the environment. Just as easy to install as other kinds of lights, you can teach your kids how to remove the old bulbs and then install the new solar ones. Even the younger members of your family should be able to take part in a re-painting job, whether it be a door, a wall, an outdoor fence, or the old shades and blinds over your windows. 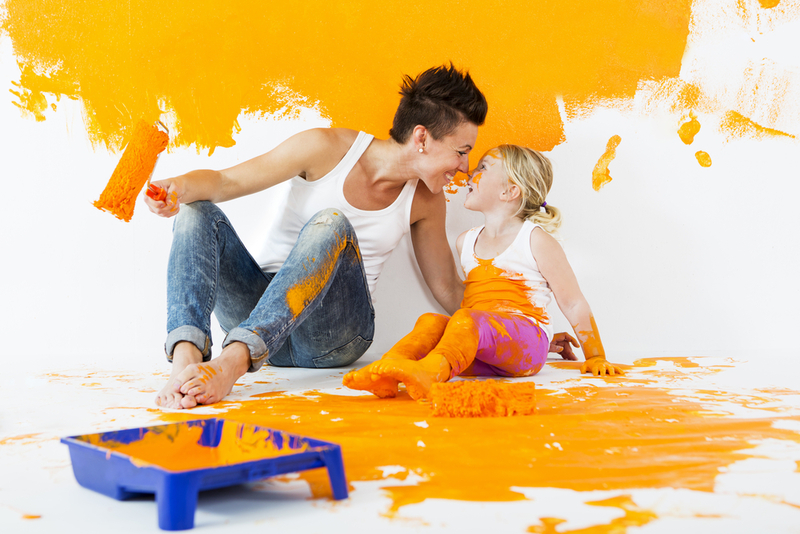 Just remember it’s important to demonstrate to your children how to paint carefully and to choose specific paints that are non-toxic. If you’re going to be doing any painting indoors, consider keeping the windows open for proper ventilation and having a proper dehumidifier as well. Bathroom remodeling is a big project, and while there are definitely certain aspects of it that your kids should not do, there are also tasks that they should be able to accomplish as well. For example your kids can help you to choose new sinks or appliances, can scrub away old grease or grime, can help design the look or choose the color of the bathroom, and so on. The main idea here is that they can be involved with the process. If you’re going to be renovating any other rooms in your house, your kids can help be responsible for tasks such as pulling up the carpet or removing the wallpaper. Both of those kinds of jobs are relatively straightforward and doesn’t require a huge amount of physical effort. Proper supervision is key here, and again, the idea is that they can just be involved in some way. Remember that your number one tip priority with any of these home improvement projects must be safety. Know the capabilities of your children, provide clear instructions, and keep a close eye on them throughout the process.